Published: Wednesday, April 17, 2019 In assignment of MET Group, Solarpro designed and constructed a 21 MW solar project in Hungary. This MET Dunai Solar Park is monitored with two DustIQs to evaluate the dust levels on two different positions across the park. “The Park” is one of the largest photovoltaic power plants in Hungary, re-designed and built by Solarpro Holding AD (Solarpro), one of the leading turn-key EPC players in the CEE and MENA PV sector. The Park is owned by the integrated European energy company MET Group with its head quarter in Switzerland and activities in natural gas, power and oil that is focused on multi-commodity wholesale, trading and sales, as well as energy infrastructure and industrial assets. The 21 MW project uses MW Poly Perc modules from GCL System Integration Technology Co., Ltd. (GCL-SI), a leading one-stop solutions provider. Solarpro not only designed and constructed ‘The Park’ but also provided a web based SCADA system for supervision and control that generates performance analysis, trends and reports. And also alarm messages by email, SMS and on screen. The DustIQ sensor is used as a measurement tool for estimation of the dust level on the PV modules and is fed into the SCADA system. 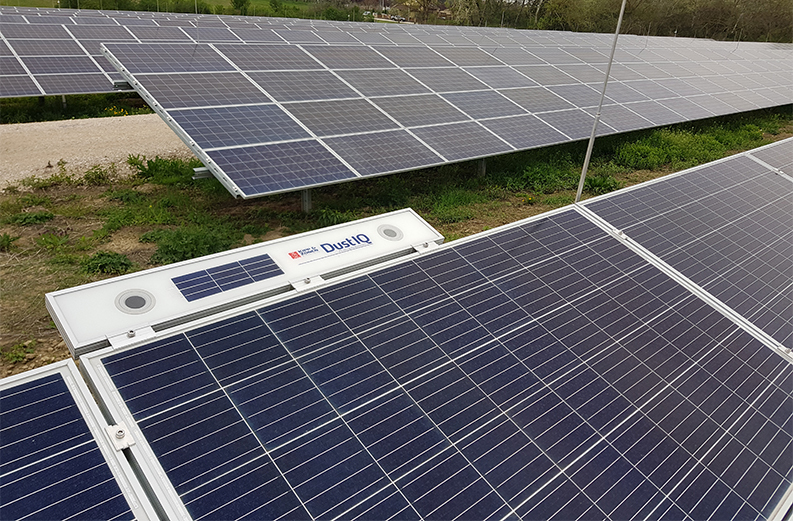 Solarpro is also responsible for the Operation and Maintenance of ‘The Park’ and has responsibility to clean the PV modules if certain level of dust is measured by the DustIQ sensors. The results are measured and recorded in 5 minutes interval. The customer required the integration of DustIQ in this project and it was the first time we installed it. This went pretty easy as the manual and instructions gave us all the details we needed. With the help of Kipp & Zonen’s support team we were able to change the default settings and adapt the Modbus speed to fit our SCADA system. The DustIQ has only just been installed and now shows 99-100% soling ratio but we look forward to the exact value when we normally would schedule cleaning based on our experience. 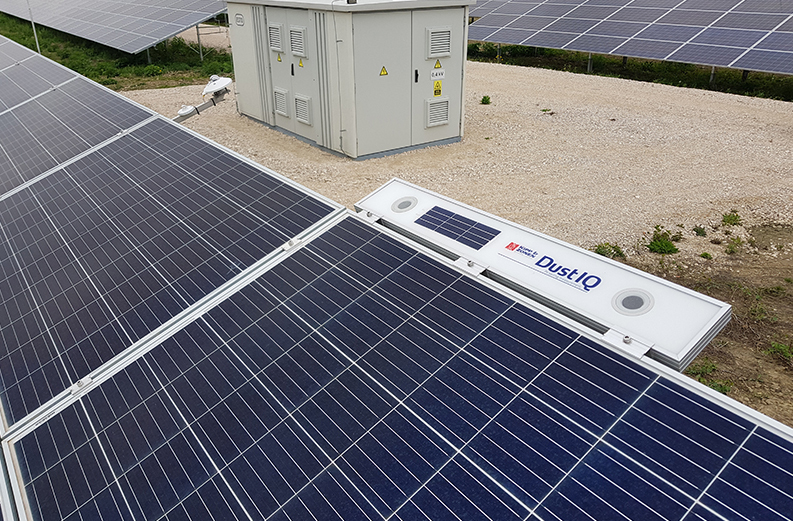 Based on our initial experience and the fact that there is no comparable system available in the market, we would recommend to install DustIQ at solar projects, certainly in more dusty areas. For a large scale system in such an area we would advise to use about 8 DustIQs. For systems smaller than 2 MW it might not be as suitable." Established in 2007, Solarpro Holding is one of the leading players in the South-East Europe PV sector. With over 80 employees in 5 countries we offer wide range of smart energy systems and solutions. With more than 100 MW installed capacity and 33 PV plants under operation, we have gained significant experience in engineering, installation, operation and maintenance of PV systems (on-grid, off-grid and hybrid).